Christmas Claus Espresso Kit 704 from Happy Hollow Designs. Here comes Santa Claus, Here comes Santa Claus! Dive into the Christmas spirit with good ol' St. Nick. 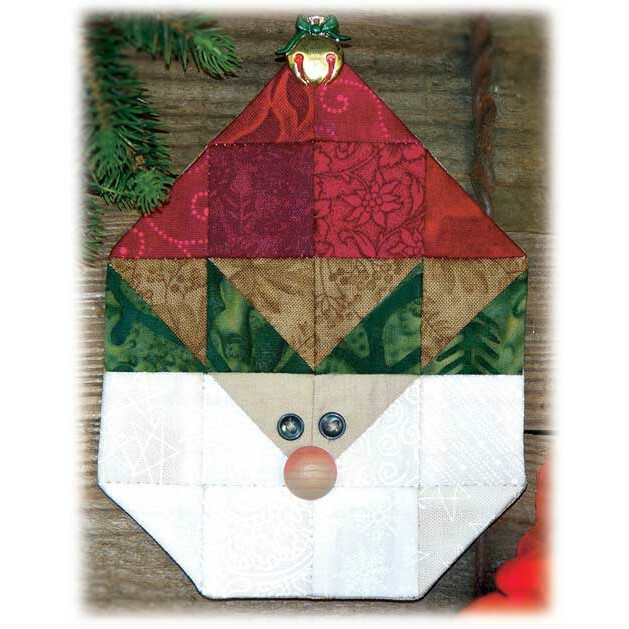 Includes pattern, fabric, Fusible Quick Grid, backing, button eyes, wooden nose, and bell button. Makes one 5" ornament. Great as gifts, party favors or make for family members. Kit is packaged in a take-out espresso cup.